Samsung company recently announced the list of their Samsung smartphone products that will be receiving the latest Oreo updates, they are working fast on how to make Oreo available on all their smartphone, they promised that some smartphones will start receiving the notification for upgrade, so user can go ahead doing the update as soon as the notification is received. 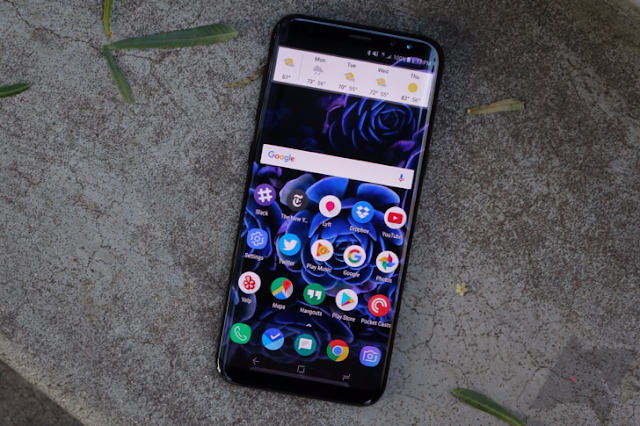 Just of last week, Samsung began rolling out Android 8.0 Oreo to the Galaxy S8 and S8+ just as they have promised after a roughly three month beta phase. Samsung also said that the proposed S9 and S9+ will be coming directly with Android 8.0 Oreo but presently according to SamMobile , it seems like Samsung has suspended the roll out to other due to reason unknown. We have several countries that have already started enjoying the latest Android 8.0 Oreo, as we speaks now , Turkey, Norway , UAE, India, Belgium, Germany , France and Poland has the new update and will be rolling out generally to other country soon but nothing can be done now due to currently suspension. This is actually far from the first time a company has halted the roll out of an update to Android 8.0 Oreo to their devices: Xiaomi has already stopped the Oreo roll out twice for the Mi A1, and HTC pulled the update for the HTC 10 before rolling it out again a week later. Hopefully, Oreo will finally be hitting S8 and S8+ devices sooner rather than later. According SamMobile, Samsung has revealed that the update was halted as it investigated a limited number of S8+ units rebooting unexpectedly on Oreo.